(FinalCall.com) - Top officials from the Centers for Disease Control and Prevention (CDC) recently reported that the United States has exceeded 1,000 deaths from the declared swine influenza pandemic and has witnessed “many millions of cases” since the virus first emerged six months ago. “We have seen, since the beginning of the pandemic in April and May, more than 1,000 deaths from pandemic influenza and more than 20,000 hospitalizations in this country,”said Thomas Frieden, director of the CDC, in a news briefing. “We have had, up until now, many millions of cases of pandemic influenza in the U.S., and the numbers continue to increase,” said Mr. Frieden. According to the World Health Organization, approximately 4,735 people have died globally from swine flu infections since the H1N1 virus was first reported in Mexico. The seasonal flu causes an estimated 36,000 deaths yearly according to the CDC. 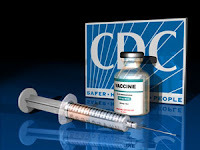 Plans of mass vaccinations by the government are now underway and originally included an estimated 50 million vaccine doses slated to be disseminated to every state's health center. As of mid-October, just 11 million doses have been sent out and over 16 million are ready for shipping, according to the CDC.